SCORESBY senior playing-coach Scott Goldsworthy has earmarked youth to take the club forward in 2019 as it looks to cover the loss of experienced personnel. 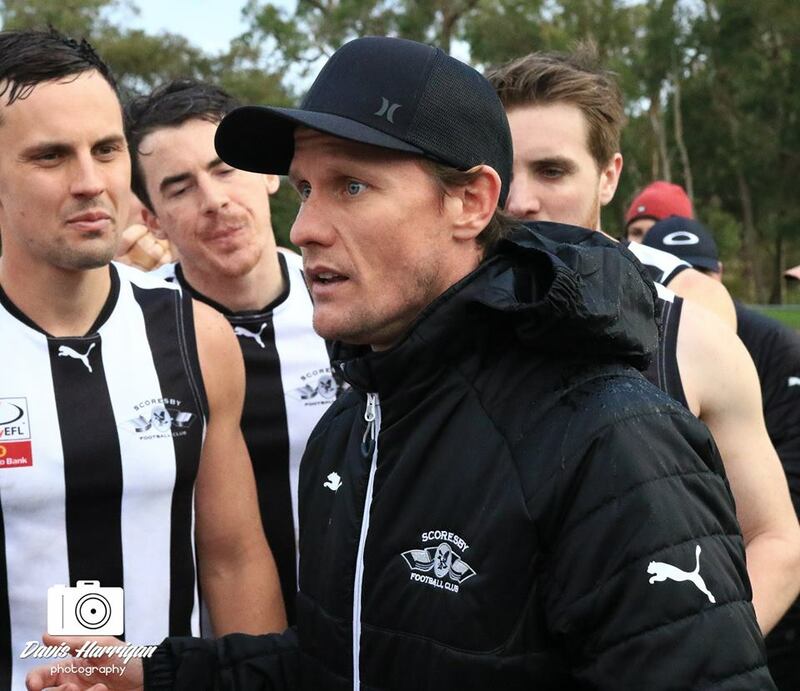 The Magpies finished second on the Division 3 ladder at the end of the 2018 home and away season with 15 wins and three losses, on the way to a preliminary final where they were bundled out of the flag race by a red-hot Boronia outfit. The club will again compete in the third-tier this season, in the newly-formed Division 2 competition. 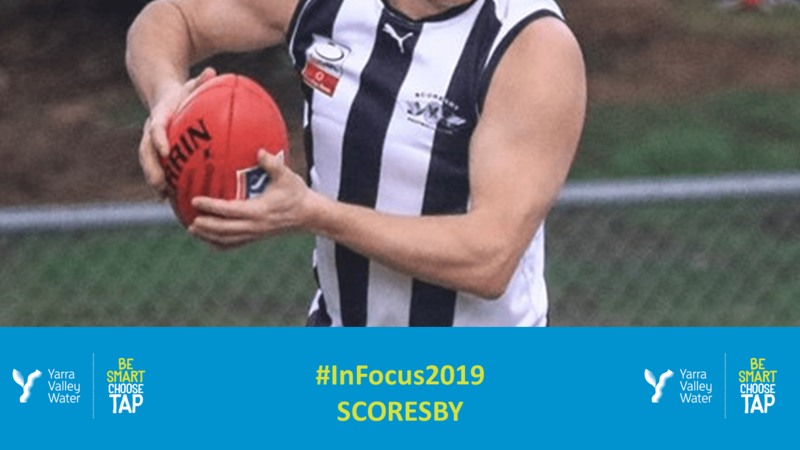 Scoresby has welcomed 27-year-old forward Todd Morgan from North Ringwood after 10 senior appearances in the top-tier last year, while midfielder Luke Scanlan returns to footy after last donning the black and white in 2016. Scanlan played in Rowville’s 2012 Division 2 senior premiership before stints with Glen Waverley Hawks and Boronia. Rowville under-19s product Tim De Geest also joins the fold and will look to add run into the Magpies’ line-up, while Goldsworthy is hopeful of seeing more of 2017 reserves best and fairest runner-up Ben Johnson in the senior team this year. The Magpies have seen the departures of ruckman Daniel De Ieso (Ferntree Gully) and forwards Dale Hehir (Rowville) and Nathan Hicks (Canterbury, VAFA). Hehir topped the goalkicking in Division 3 last season with 65 majors on his way to being named in the 1116 SEN Division 3 Team of the Year in the forward pocket. Goldsworthy will look to the club’s youth to fill the voids left by the departing trio. “We’re going to get most of our growth through our under-22 players so it provides a really good opportunity for guys that have come up through the 19s last year and probably played most of the year in the reserves,” he said. “They (the reserves) obviously had a good finals series right through to the grand final so they’re what we’re looking to fill the void of the departures, particularly of Nathan (Hicks) and Dale (Hehir) up front. Despite last year’s preliminary final berth, Goldsworthy is under no illusions of the task ahead in the EFL’s restructured competition. “The other coaches have pretty well hit it on the head in saying that it’s going to be a very even competition and there’s certainly going to be no easy games,” he said. “For us, it’s really just about we’ve retained the majority of our group which is really positive and as I said we’re going to get growth and improvement from all of our players that are under 22 which is now starting to make up a large proportion of our playing group. “There’s going to be a lot of close games and you’re going to be judged on which games you lose by two goals or you win by two goals this year. Finals are on the radar again at Exner Reserve, but the new EFL alignment shapes 2019 as an “uncertainty” according to Goldsworthy. “You get two (teams) come down and you lose the bottom six so all of a sudden it shapes as a real uncertainty in terms of what is a pass-mark,” he said. Scoresby kicks of its season when it hosts Mitcham on Saturday, April 6.